Les Cimes des Arbres is the last property on a rural no-through road which continues on to a green lane and offers lovely walks around the beautiful charente countryside straight from your door. Famous for its fields of sunflowers, the rolling green landscape of the Charente is both picturesque and easily accessible by car, or at a slower pace, by bicycle along the quiet back lanes and 'chemin blancs'. The gite is just a stones throw from the rivers of La Brousse and La Dronne where you can rent canoes on several different stretches of the river, plus golf enthusiasts will love the 9-hole golf course at the nearby Manoir de Longeveau. The friendly little village of St Severin is just a couple of minutes away by car and has all local amenities you might need, including two bars, two restaurants, a boulangerie, hairdresser, chemist and bank - and a useful Spar shop open until 7pm every day except Sundays. The stunning 'plus beaux village' of Aubeterre Sur Dronne, the jewel of southern Charente, is just 5 minutes by car and has a choice of numerous excellent cafe's and restaurants surrounding its tree-lined square. Tumbling down the hillside from the chateau, its cobbled back streets and interesting little artisan shops make it a pleasant place to stroll around and take in the atmosphere. 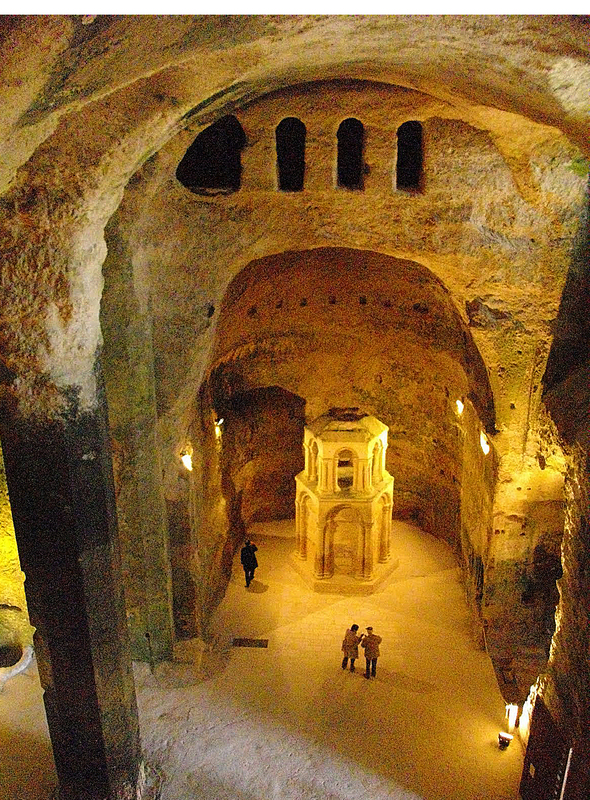 Not to be missed is the awe-inspiring monolithic church of St Jean, hewn from solid rock in the 12th century and the largest subterranean church in Europe. Aubeterre's small Sunday morning market is well worth a visit, as is the river beach and cafe at the foot of the village, where the meadows meet the River Dronne. About 45 minutes away by car is the idyllic town of Brantome, just on the northern edge of the Dordogne. Often known as the 'Venice of the Dordogne' due to its position on a loop of the river, the town has a nice mix of medieval and renaissance architecture including the magnificent benedictine abbey and the old stone bridge, weir and chocolate-box mill, all making for an unbelievably photogenic scene. The cobbled, pedestrian only back streets are filled with numerous shops and plenty of cafes and restaurants, many on the rivers edge. A trip to Brantome wouldnt be complete without visiting the picturesque medieval village of St Jean de Cole, just 10 minutes further east. Another of France's 'plus beaux villages', it's a magical, picture-postcard pretty place steeped in history, with a superb chateau, a unique church and half timbered houses surrounding its leafy central square, plus a beautiful stretch of river with its cobbled, hump-backed bridge dating from the middle ages - you really will feel like you have travelled back in time. 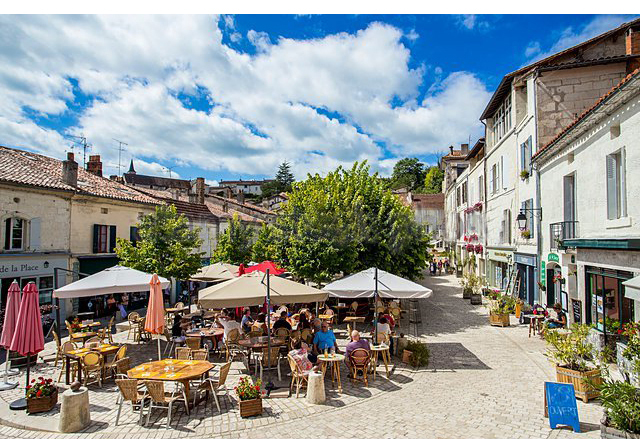 Returning from Brantome, you'll have time to stop for a glass of wine in one the several cafes dotted around the charming village of Bordeilles. Dominated by the imposing 'Chateau de Bourdeilles' overlooking the river crossed by an ancient stone bridge and old mill - again, it's another breathtakingly beautiful scene well worth lingering over. Less than an hour to the south east lies the lovely old town of Perigueux, the capital of the Dordogne. Part medieval, part roman, it is dominated by the 12th century Saint Front Cathedral, said to have been the inspiration for the design of the Sacre Coeur in Paris's Montmarte. Here, you'll discover modern shopping areas alongside the cobbled, pedestrian only back streets of the old town. Every corner you turn you'll be rewarded with another shaded square set out with tables and chairs full of chatting lunchtime customers, or one of the many chocolatiers luring you in with their sumptuous wares, or the lively hustle and bustle of the Saturday street market. Just 45 minutes north of the gite is the historic town of Angouleme, standing on a rocky promontory overlooking the Charente River. Angouleme is full of large wide open boulevards which stand above the original ramparts that protected the town, of which there are more than two kilometres remaining intact. Every September, Angouleme's roads becomes race tracks as vintage cars from far and wide come to take part in its famous 'Circuit de Remparts' classic car race. Drive an hour south west through the rolling vineyards of the world famous bordeaux wine area and you'll discover the world heritage site of Saint Emillion, a charming medieval town set on a hill, world famous for its fine wines. Saint-Emilion is entered by way of one of the seven gates that are part of the original medieval fortifications, and inside the walls you will discover steep narrow streets with beautiful buildings and several open squares full of shops, restaurants and wine 'caves', each more attractive than the one before! Carry on just another half an hour south west and you'll find yourself in Bordeaux, one of France's most exciting, vibrant and dynamic cities. Half the city (18 sq km) is Unesco-listed, making it the largest urban World Heritage site. With its pedestrianised boulevards and chic boutiques, restored neoclassical architecture, barista-run coffee shops, exceptional dining scene and more fine wine than you could ever possibly drink, you'll be hard pressed to fit it all in on just one visit. Directly west, about an hours drive, is the beautiful Gironde Estuary, formed by the confluence of the rivers Dordogne and Garonne. 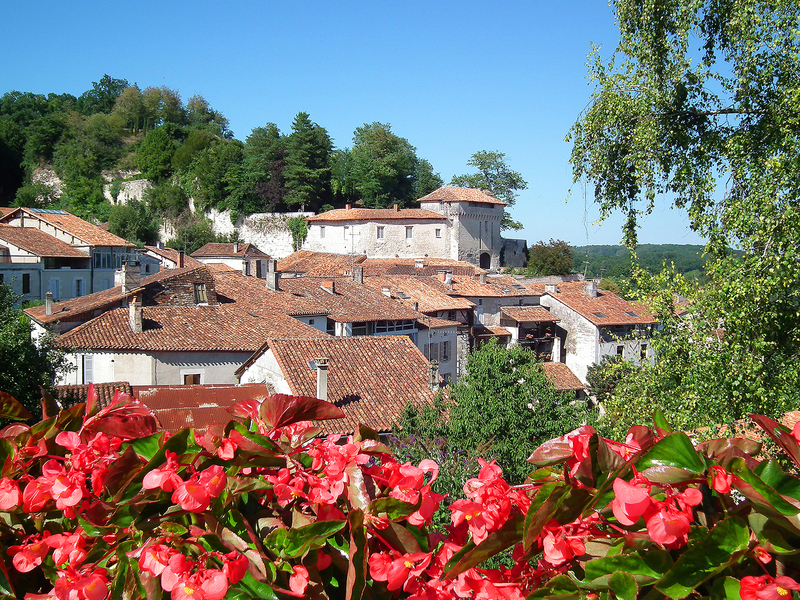 An exceptional natural enviroment, its also home to three more Unesco World Heritage sites, the Blaye Citadal, Fort Pâté and Fort Médoc, plus the charming coastal 'plus beaux village' of Talmont sur Gironde, famous for its tiny cobbled streets full of Hollyhocks.